Scotland legend Gavin Hastings believes Stuart Hogg still has room for improvement and has urged the full-back to take his game to another level in this year’s Six Nations. Hogg (26), who scored during his side’s 33-20 opening day win against Italy, played every game of Gregor Townsend’s first Championship campaign in charge last year as Scotland finished in third place – their best finish since 2006. Hogg, who will join Exeter Chiefs from Glasgow Warriors at the end of the season, has also previously won Player of the Championship in 2016 and 2017. But former full-back Hastings, widely considered to be one of the best Scottish players, insists Hogg has not yet reached his peak. “He clearly has the potential to be even better than he is – and he’s already pretty good,” he said. “It would be nice if he was to have another blistering Six Nations this year; he’s certainly had a few of those in the past. 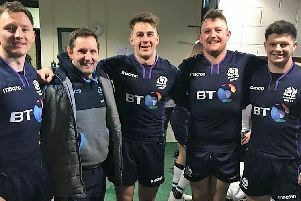 Scotland have not tasted Championship glory since 1999 – the last year of the Five Nations era – but Hogg has said he “truly believes” they can end their 20-year wait for a title this year. 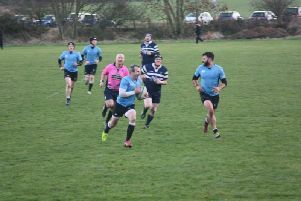 And Hastings has welcomed the positive messages coming from the Scottish camp, suggesting their formidable home record has given them confidence to dream big. “Scotland have done pretty well over the past two or three years and we’ve kind of built back up Murrayfield in terms of a tough place for opposition to come to,” he said. “That’s what you want from your home stadium – I think Murrayfield has become a great place for Scottish supporters to back their team again.